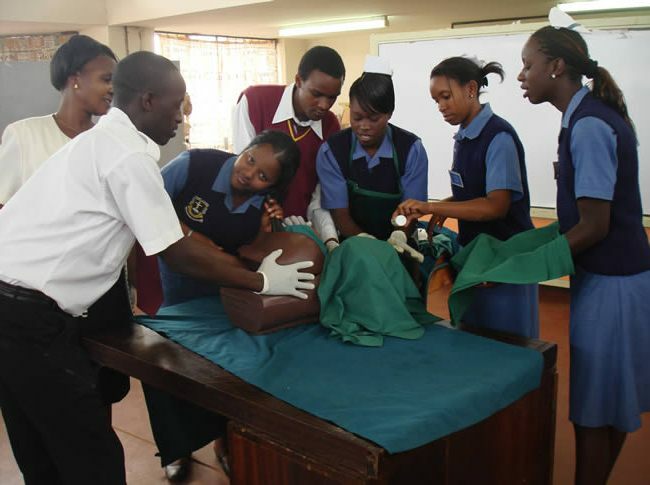 The leading medical training center Kenya Medical Training College (KMTC) was founded in 1927 under the Ministry of Health. Though it started with only four students at Kenya Institute of Administration (KIA) Kabete, the institution currently hosts more than 22,000 scholars pursuing over 50 KMTC courses. Consequently, KMTC graduates more than 6,000 medical professionals annually to serve in the private and public healthcare sectors. This amounts to an approximate of 80 percent of Kenya’s medical workforce. The different levels available for KMTC courses include higher diplomas, certificates, and diplomas, and the institution has in the recent past introduced new courses to gather for the ever-increasing healthcare needs. Here are some of the courses available for KMTC 2018 intake and their respective entry requirements. This certificate course takes two and half years to complete where students seeking to join must have obtained a C- in Kiswahili or English and Biology or Biological Sciences. They must also have a D+ in Mathematics, Physics, Physical Sciences, and Chemistry. The students who qualify to enroll for the Certificate in Nursing course can study at MTC colleges in Kabarnet, Lodwar, and Garissa. The minimum entry requirements for this course include a C- in Kiswahili or English, a D+ in Physics or Maths, or Physical Science. It also requires a D+ in Home Science, Agriculture, or Chemistry and is offered at KMTC Nairobi talking two years to complete. The entry qualifications for this course include a C- in Kiswahili or English, Biology or Biological Sciences and D+ in Mathematics, Physics or Chemistry. Offered at KMTC Mathari, the certificate course in Psychiatric nursing take runs for two and half years before the students are graduated. Post-Basic Diploma in Occupational Safety and Health-On a full-time basis, this course takes a full academic year to complete and is offered at KMTC Nairobi. Those seeking to enroll for a Post-Basic diploma in Occupational Safety and Health include serving as Public Health Officer (PHO). Post-Basic Diploma in Food, Science, and Inspection-While this KMTC course is offered at KMTC Nairobi branches on a full-time basis, the entry requirements for those seeking to enroll include serving PHOs. This enables the learners to function well and specialize in environmental health management where they take on year at the institution. In-service Diploma in EHS (Regular)-The course is meant for the technicians in the public health sector who want to advance to PHOs. 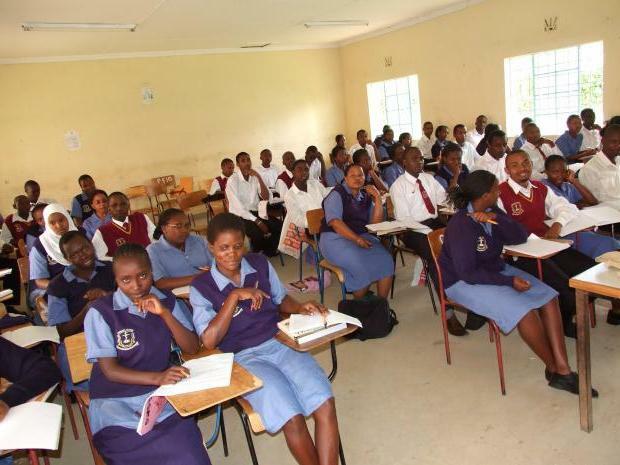 It is offered in various KMTC colleges in Kabarnet, Machakos, Nakuru, Lodwar, Kisumu, Nyeri, Embu, and Kakamega. Basic Diploma in Environmental Health Science-The entry requirements for this course include KCSE mean grade C with a C in Kiswahili or English or one of the three sciences. It is offered at various KMTC colleges located across the country in Nairobi, Embu, Kakamega, Kisumu, Kabarnet, Nyeri, Machakos, Mswambeni, Kitui and Nakuru. For students to complete the course, they must study full-time for three years. Higher Diploma in Epidemiology (Parallel)-The minimum entry requirements for this course include Diploma in Community Oral Health, Medical Laboratory Technology, Public Health, Health Records and Information, Clinical Medicine, or Nursing from KMTC. Diploma in Pharmacy-Students who want to enroll for Diploma in Pharmacy must have obtained a KCSE mean grade C with C in Kiswahili, English, Chemistry, Physics, or Biology or any other qualification as determined by KMTC academic board. While the course is full-time and takes two years to complete with lab practical, it includes an attachment of seven months in any community pharmacies, company and hospital. Qualified applicants will study at various KMTC colleges in Kisumu, Nakuru, Nairobi, Manza, Nyeri, and Mombasa. KMTC offers both regular (government-sponsored) and parallel (private-sponsored) programs where the parallel program's intake is held in March while regular programs intake is in September. The registration for 2018 parallel program closed on the 28th January. Usually, KMTC course advertisements are published in October in the local newspapers. Students are advised to attach relevant academic certificates and national ID or birth certificate with the application form. Students who apply for the different KMTC courses must pay Kshs. 2,000 non-refundable fee or $50 for foreigners through Banker’s Cheque or National Bank deposit. This fee payment, however, does not offer admission guarantee into the college as that only depends on the applicant’s qualification. All KMTC campuses are strategically located near district or provincial health facilities for students to seamlessly complete their clinical attachment. KMTC is also well-endowed with experienced and qualified instructors and administrative personnel. Hence, the institution attracts international students from East and Central Africa countries like Burundi, Uganda, Tanzania, DRC, and Sudan. The rapid growth of KMTC from its humble beginnings is attributed to the constant government support, commitment of the staff and the diligence of the scholars.